Right on the main commercial strip of Garden City, Long Island, Waterzooi exists firmly in between two worlds. It ticks off all the right boxes to confirm itself as a Belgian establishment: mussels, frites, beer, and waffles. At the same time, the clientele is distinctly Nassau County, and all of those boxes are ticked as well. Its absolute greatest strength might be the beer list, for those people that enjoy strong Belgian brews. Plenty of bros with their baseball caps backwards were trying to order Heineken and Bud Light, while their dates stuck to the standard wines, but a few people in the bar area were intrigued by the extensive list if not the majority. Moules-frites are now very popular in France and around the world, but their origin is from the Flemish coast of Belgium where the molluscs are common. Waterzooi claims to have sold over 2.5 million pounds of mussels since opening, and a look around does not nothing to suggest otherwise. 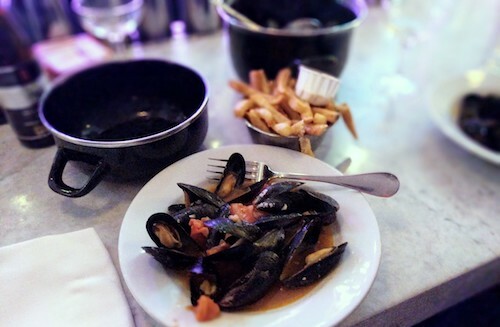 Pots of mussels are on most tables and even ordered at the bar. There are 12 different styles of pots to order from, with different levels of tradition or craziness involved, all the way to a Thai version. The pot shown above is the Provençal moules pot ($29), a white wine base with fresh herbs and tomatoes. All the pots come standard with a portion of fries (frites) and "mayo" (frite sauce). Back home, it was later noticed that the menu had a namesake dish on it, and this oversight made it necessary to return for it. The waterzooi ($39, below) is a dish that originated in Ghent and traditionally is a stewed fish cooked in a soup base of egg yolk, cream, and thickened vegetable broth. 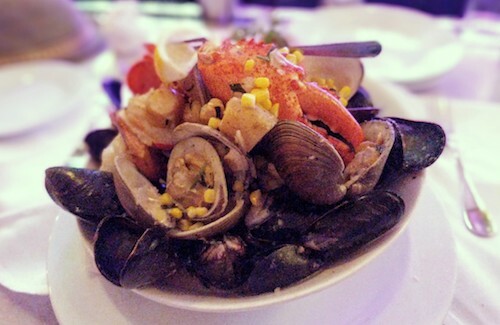 The version here is all about seafood using plenty more mussels as well as littleneck clams, a couple pieces of jumbo shrimp, and a good portion of lobster. The creamy soup broth is full of sweet corn, potatoes, tarragon, and fennel. It is an experience. 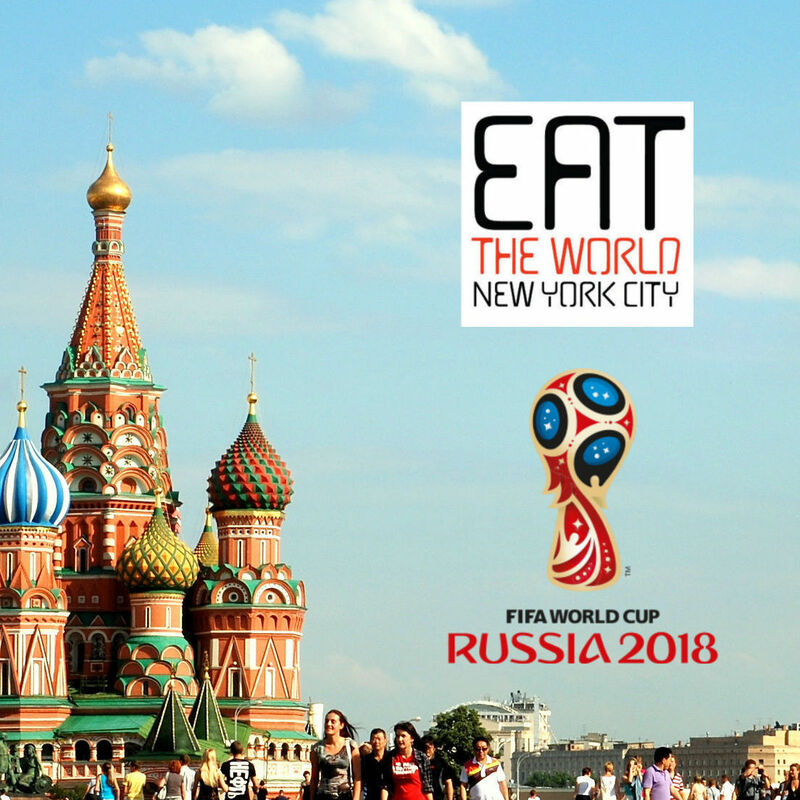 The menu is full of other not-so-Belgian items and some pan-European plates. They seem to have an affinity for mac n' cheese and offer it alone or on top of burgers. During brunch service on weekends, enjoy a Brussels-style waffle with your choice of toppings.